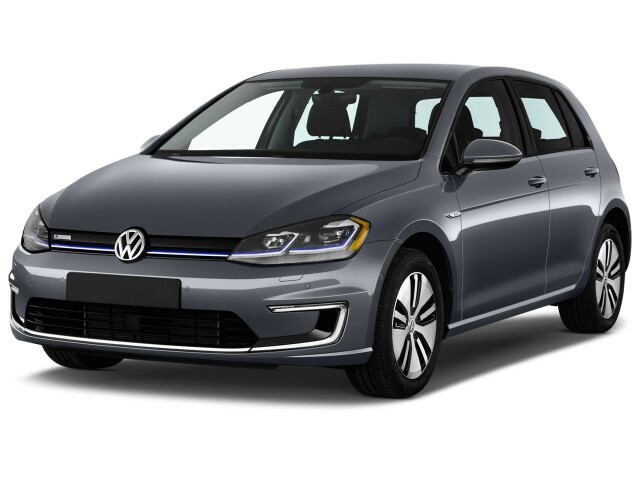 For buyers comfortable with an all-electric car that utterly blends into the background, the Volkswagen e-Golf is the perfect choice—if their local VW dealer carries and services it. Volkswagen has limited the rollout of the VW e-Golf by starting on the West Coast and in Northeast states, meaning it is not available at every dealership. With the e-Golf, Volkswagen has a fully electric car on sale in the U.S. to compete with others in the growing class. From the outside, bystanders would be challenged to identify Volkswagen's e-Golf as an electric car on looks alone. An update to the e-Golf is expected for the 2018 model year, when the battery capacity is likely to increase to provide a range of 100 miles or more, keeping Volkswagen's only electric car competitive with the Nissan Leaf and BMW i3, among others. Otherwise, the Volkswagen e-Golf is largely indistinguishable from its gasoline brethren. Aside from slight trim and styling differences, unique wheels and tires, and some badges, there's very little to distinguish it as an electric car to onlookers. Except, of course, the utter lack of noise from a combustion engine. From the outside, the VW e-Golf is—well, it's a Golf. In its seventh generation, the Golf a conservatively styled, crisp-edged five-door hatchback clearly descended from the first Golf/Rabbit to hit U.S. shores more than four decades ago. The e-Golf interior is virtually identical to that of any other current Golf. Exterior differentiation includes different taillight detailing, more-aerodynamic wheel designs, and different grille inserts with smaller actual openings for air to pass through. The powertrain and technical specs of the Volkswagen e-Golf almost echo those of the market-leading Nissan Leaf. Both use air-cooled lithium-ion battery packs of about 24 kwh to power electric motors that drive the front wheels. The e-Golf's 85-kw (114-horsepower) electric motor is just fractionally more powerful than the Leaf's 80-kw (110-hp) motor. The e-Golf can charge at up to 7.2 kw, meaning it finishes recharging a little quicker than the Leaf, which has a 6.6-kw charger. The e-Golf and Leaf are also both five-seat, five-door hatchbacks with similar interior volumes—91 cubic feet for the e-Golf against 92 for the Leaf. Only in cargo volume does the e-Golf fall short; its 17 cubic feet are adequate but less than the Leaf's, possibly a result of compromises made to accommodate other powertrains (and perhaps fuel tanks) in the conventional versions of the Golf. While the first model year of e-Golfs were all the top trim, there are now two trim levels: the SE is the base model starts right around $30,000, while the more luxurious SEL Premium model adds almost $6,000 to that. 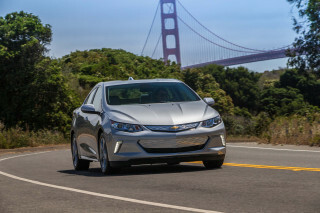 Other all-electric five-door compact hatchbacks that compete with the VW e-Golf—besides the Nissan Leaf, that is—include the BMW i3, the Mercedes-Benz B-Class Electric Drive, Chevrolet Bolt EV, and the low-volume Ford Focus Electric, which also has limited availability. A second, and less expensive, trim level was added for 2016, and it continued unchanged for 2017. This is my 3rd electric vehicle. The first was a Ford Focus Electric, which encouraged us to get a Ford Fusion Energi. Once the lease was up on the Focus, we opted to go with the e-Golf and I'm glad we did... This is my 3rd electric vehicle. The first was a Ford Focus Electric, which encouraged us to get a Ford Fusion Energi. Once the lease was up on the Focus, we opted to go with the e-Golf and I'm glad we did. The Focus was a great little car for the price, but it did have some limitations, not the least being very limited trunk space; but we managed. However with the e-Golf I'm finding it very nice to have trunk space again. Plus add the ability to tuck the hatchback shelf into the floor of the trunk and also the reach-through door in the rear seat and I have no worries about being able to haul the kids to their sports practices and running out of room for them and their gear. I was also pleasantly surprised to see the battery range superior to the Focus. It bests the Focus by 20 miles in my case. Also with the heat pump on this car, running the heater barely impacts range unlike the Focus where the heater cut range by about 12%. - I find the ride super smooth. - The acceleration is good when going from a stop, just OK when trying to pass. - The noise level is on par with a luxury car. - Seating is comfortable for adults in the front and back. - I kind of still like the analog instrumentation. Digital in this area isn't always the best way to go. Now for a couple of gripes. - The steering wheel is the worst I've felt in many years. The top half of the wheel has a knife-like edge facing the driver. I drive with kind of a stiff arm and my palms are in pain after prolonged driving like that. - The tech package is sub-standard to the Ford. I kind of like Sync. The package in the VW is good, but not as good. - The car-net site and mobile app are inferior to the Ford offering. It took me a while to understand their approach to configuring charging schedules. It would be nice to see the Ford and VW approaches converge. - We managed to deal with the charge port in the rear of the car, but I can see this being a problem for many. Overall though we are very happy to upgrade to the eGolf. 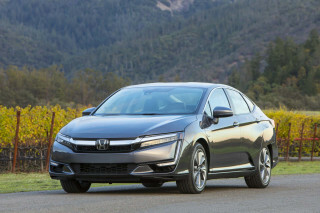 It's a great car that is fun to drive whether it's for commuting, errand, or whatever. 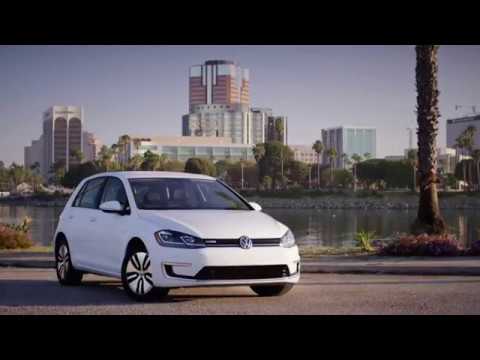 The 2015 eGolf is near great, just a few more features and more power would get it there!